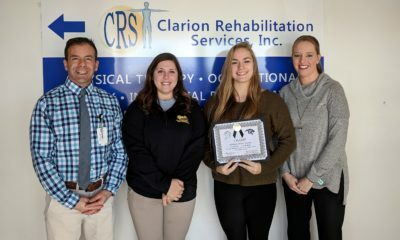 CLARION, Pa. – After helping to lead Clarion to the District 9 Class 1A championship and the second round of the PIAA playoffs, Lady Cats sophomore setter Brenna Campbell is the Pennsylvania Volleyball Coaches’ Association (PAVBCA) District 9 Chapter Class 1A MVP for 2018. In addition to Campbell being honored, the coaches also named a first-, second- and third-team All-District. 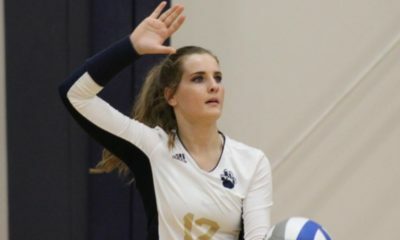 Two Clarion and two A-C Valley players highlight the first team with Lady Cats freshman outside hitter Korrin Burns being joined by her junior teammate and fellow outside hitter Maddie Schill. Olivia Boocks, a senior outside hitter who was the KSAC MVP, and Kylee Eaton, a senior middle hitter/outside hitter, represent A-C Valley. Also on the first team are Elk County Catholic junior outside hitter Taylor Newton and Johnsonburg senior middle hitter/outside hitter Lindsey Kocjancic. Two Ridgway and two Clarion players highlight the second team. Representing the Lady Elkers are senior outside hitter Casey Woodford and senior setter Lacie Cherry. From Clarion are junior Libero KK Girvin and junior outside hitter/right-side hitter Kait Constantino. Joining those four on the second team are Cranberry senior outside hitter Malliah Schreck and Coudersport middle hitter/outside hitter Shaelyn Black. 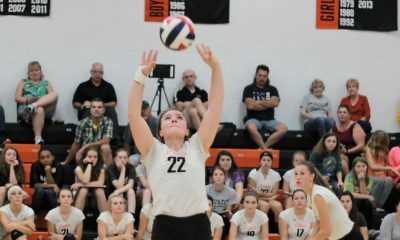 A pair of Port Allegany players headline the third team with senior setter Jenna Sprankle and senior middle hitter Kierra Keck both being honored. They are joined on the third team by Ridgway senior middle hitter Claire Kemick, Cranberry sophomore middle hitter/outside hitter Ava Ferringer, A-C Valley junior setter Emily Wetzel and Otto-Eldred sophomore middle hitter/outside hitter Reilly Raught.